Put your inner Spock on the problem. Up to this point, the Virtues have focused on social skills like listening and right-brained strengths like creativity. Now it’s time to give a nod to what the left-brain brings to the table. I want the information in The Art Of Troubleshooting to be extremely practical, so I’ve highlighted some very simple troubleshooting methods like the reboot and seeing if it’s plugged in. However, I don’t want you to get the false impression that the answers are always that easy – some issues will take everything you’ve got (and then some) to figure out. Clearly, you’re interested in reaching a level of mastery that will allow you to tackle the hardest troubleshooting problems. That will require a higher level of commitment, along with four interconnected and Spock-like virtues: being organized, systematic, detail-oriented, and logical. Difficult problems will require you to create your own structure around the troubleshooting process. “Winging it” won’t be an option for a months-long investigation that involves not just finding and fixing a problem, but also preparing a detailed report to be read by your peers. Organization might be required in many dimensions, depending on the size of the problem you’re trying to solve. You might have to manage a team of troubleshooters (people), conduct interviews (gather information), work with outside service technicians (manage company resources), update the wider organization on your progress (communicate), alongside the core tasks of finding and fixing the issue. Each of these areas benefits from careful planning and coordination. Being organized also includes marshaling the information you will analyze and disseminate: from taking notes to collecting data (logging, graphing, etc.). Ably executing these varied roles will require good organizational skills. Troubleshooting can be a real grind: there will be times when you’ll need to tediously examine a long list of possibilities, one by boring one. The Strategies are designed to reduce the time spent mucking around, but the shortcuts they provide won’t always bear fruit. When that happens, you’ll need to step into a methodical mindset to go the full distance. Especially as the complexity of a problem increases, the number of variables will grow beyond your mind’s ability to track them. Research suggests that your mind’s working memory is only between 4-7 items. Troubleshooting simple machines may not tax this limit. For everything else, you’ll need to get out a notebook and pencil, or fire up a spreadsheet program. Systematic also means being thorough, following through all the way on a given troubleshooting path to obtain a useful end result. With some strategies, there will be a large number of possibilities to test, along with meticulously resetting your test environment every time to get valid results. Getting to the end of a process like this can be tedious, but some data won’t be useful for decision-making until you’ve mapped the entire set of possibilities. When troubleshooting, the devil is in the details. Or perhaps leprechauns live in there. Or pixies. Or that gremlin William Shatner saw on the wing in that Twilight Zone episode. Whatever’s plaguing your machines, you’ll need to get involved with the nitty-gritty. Modern machines can have hundreds or thousands of parts. The strategies presented in this work try to increase your odds of finding the errant element without having to resort to a piece-by-piece inspection. However, the ability to track a project on a micro-level will be useful for those complex problems that will sprawl out and stay a long while, like a bad houseguest. Our pointy-eared role model knew that no amount of feeling would make a situation other than it is. Always remember the difference between good sounding reasons and sound good reasoning! 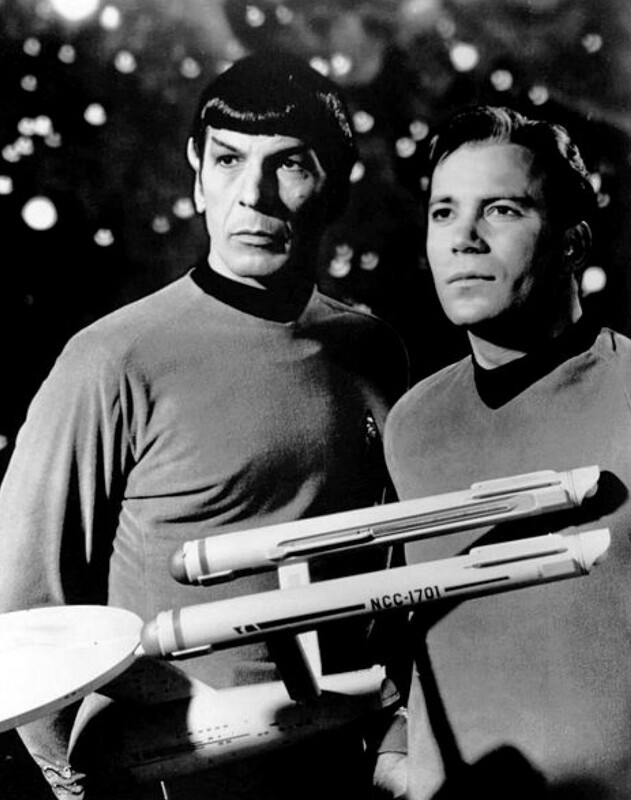 Spock had an unwavering commitment to reality, there was no fooling him: he would follow the facts wherever they led. Breakdowns can have an emotional component, especially when there are angry clients or inconvenienced co-workers knocking at your door. It might be tempting to respond in kind with passionate fire, but it’s better to channel Spock instead. Turn to detached reason, focus on the facts, and use the tool best suited for the job: logic. Nelson Cowan, “The magical number 4 in short-term memory: A reconsideration of mental storage capacity,” Behavioral and Brain Sciences, February, 2001. Richard P. Feynman, Surely You’re Joking, Mr. Feynman! (New York: W.W. Norton & Company, 1997), pg. 343.